Though the dictionary captures the essence, we offer you more at DGOASIS. We promote compete living through meticulous planning, design and execution. Every amenity required for the entire family is thoughtfully provided in this self contained development offering you complete peace of mind. The 3 bed roomed exclusive apartments have a contemporary edge and have been optimally designed to enhance comfort and convenience. The apartment floor area is 1800 sqft. Amenities include panoramic lifts, covered parking for all cars, and intuitively planned landscaped spaces that cater to all age groups. Other amenities adjoining DGOASIS include a Kindergarten and a mini-mall with provisions for a supermarket, retail spaces, pharmacy, laundry, florist, gym, spa, rooftop infinity pool and lounge bar. At DGOASIS, we place a great importance on well planned outdoor spaces for all age groups. All spaces are pram and wheelchair friendly. The walkways, jogging lane, children's play areas, multipurpose courts and relaxation zones have all been designed in a way to enhance a feeling of complete living. Electric fencing on the perimeter wall. Intercom communication between the main gate security station and apartment is followed by videocom access control to the building entrance and a videocom door bell at every apartment. Comprehensive CCTV coverage with 24hr surveillance and recording. This 3-tier security will ensure complete peace of mind for you and your family. 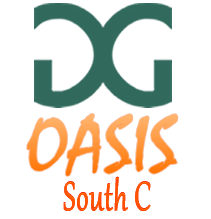 DGOASIS is located in a quiet, well established area in South C, in close proximity to major supermarkets, schools, universities, hospitals, sports clubs and places of worship. It has excellent connectivity to city center, industrial area and airport with easy access to Mombasa road, Langata road and Southern bypass.